Arab pop stars Amr Diab and Myriam Fares will headline New Year’s Eve celebrations on Al Maryah Island, Abu Dhabi. The event, which will kick off at 7pm, will see Fares take the stage first. Known for her hits such as ‘Chouf Halak Alayi’, ‘Ana Gheir’ and ‘Kifak Enta’, Fares’ career spans more than 15 years and has been voted by Google as the Middle East’s Most Searched Online artist and recognised as the Number One Youth Artist of the Arab World. 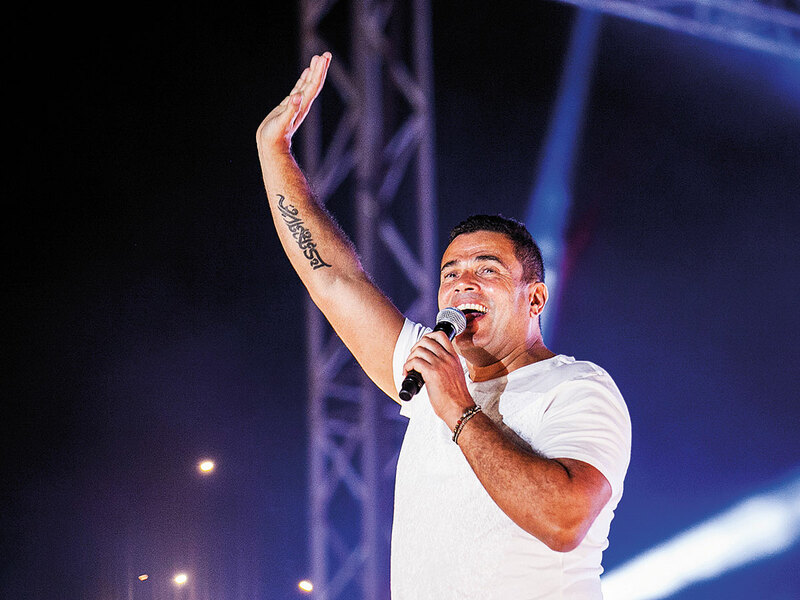 Diab, a seven-time winner of the Best Male Arab Artist at the World Music Awards, will then take the stage with his highly-popular hit songs spanning more than three decades. Diab’s latest album ‘Kol Hayaty’ (All My Life) released on October 3. The performances will be followed by a fireworks show at midnight. Doors open at 5pm. Entry to the venue is free and spots are on a first-come-first-served basis.